According to the Greenville Police Department, a male pedestrian crossing in the crosswalk located at the corner of Martin and Walnut streets in Greenville was struck by a dark colored SUV that left the scene. GREENVILLE — The Greenville Police Department is investigating an apparent hit-and-run incident after a male pedestrian was struck and injured Monday night. 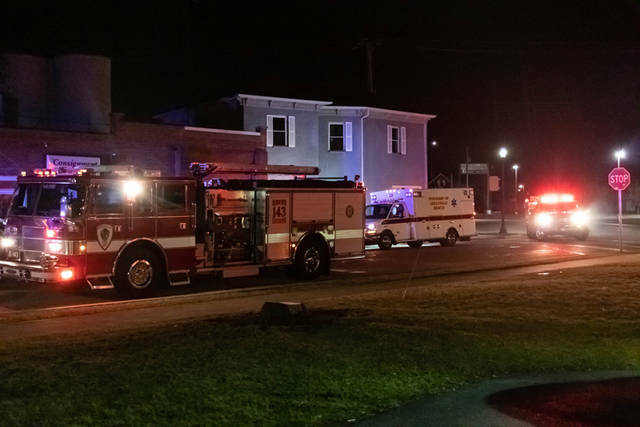 At approximately 10:50 p.m., emergency personnel from Greenville Township Rescue along with Greenville City Fire Department and officers from the Greenville Police Department were dispatched to the intersection of Martin and Walnut streets in reference to a pedestrian struck by a vehicle. According to the Greenville Police Department, a male pedestrian was crossing in the crosswalk located at the corner of Martin and Walnut streets when a vehicle making a turn from Martin northbound onto Walnut struck the pedestrian and continued north, leaving the scene of the incident. Police described the vehicle as a dark colored SUV with front end damage occupied by two females. 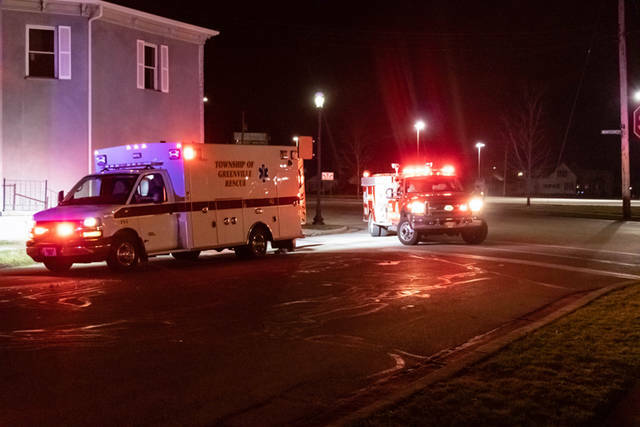 The male pedestrian was treated on the scene by Greenville Township Rescue for his injuries and transported to Wayne HealthCare for further treatment and evaluation. The incident remains under investigation by the Greenville Police Department. Anyone with information regarding the incident is encouraged to contact Greenville Police at 937-548-1103. This entry was tagged Greenville, Greenville City Fire Department, Greenville Fire Department, Greenville Police Department, Greenville Township Rescue, Hit and run, Pedestrian, Wayne HealthCare. Bookmark the permalink.